At age 14 Wayne Gregory designed his first backpack as part of a Boy Scout project. Shortly after this experience he met Andy Drollinger, the founder of San Diego California Adventure 16, at a boy scout camporee. Andy was impressed with Wayne’s design and over the next few years Wayne could be found hanging around the Adventure 16 factory, buying raw materials and tinkering with a variety of backpack ideas. He soon became the young companies second employee. From the start, Wayne wasn’t just meticulous about designing packs that improved upon fit and used the best materials available, he also wanted to know how his designs worked in the field and what he could do better, a heritage of accessibility he has continued to present. In the early days, he loved to talk tech with customers at his retail store in San Diego, where he built his packs in the back shop. He wanted to know firsthand what worked and what didn’t, and many customers’ ideas were incorporated in new products. 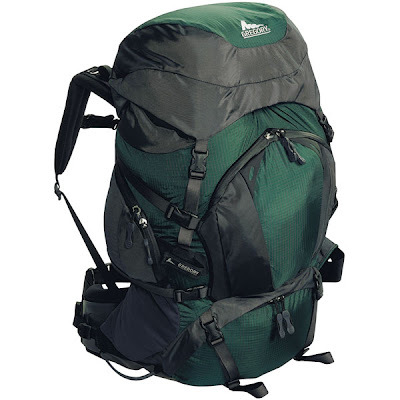 Ultimately, Wayne realized that in the backpack business fit was king, and he pioneered many firsts, including; being the first to build backpacks in different frame, harness and waist belt sizes; the first (and still only) pack manufacturer to develop a waistbelt system that adjusts to fit different hip angles, automatically improving load transfer; and developing the center-locking bar tack, a stitch that ends and locks off on the center of a seam instead of the side for increased strength at major stress points. From the earliest days, Gregory packs were noted for innovative design, ergonomic and comfortable fit, and our obsession with quality. Over the years, Gregory packs have been recognized in a number of widely read publications that single out their fit, innovation, durability and comfort stories.